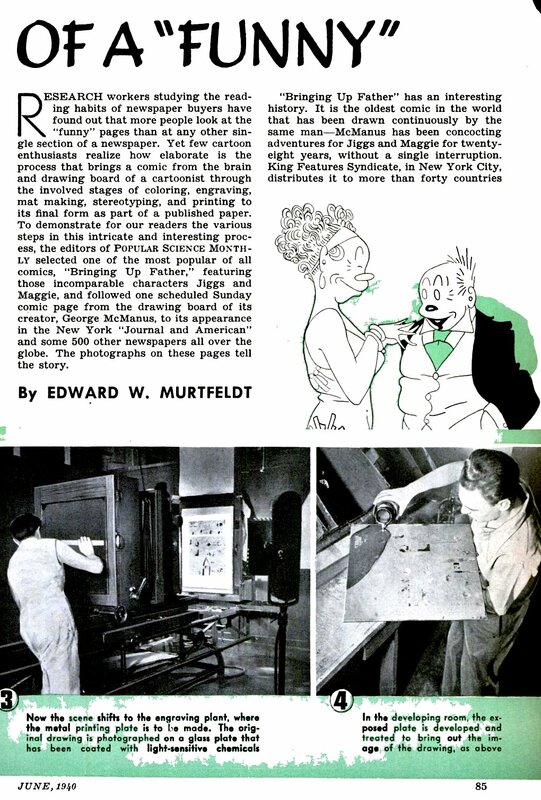 EDWARD W. MURTFELDT wrote the following five-page article — The Making of a “Funny” — for Popular Science Monthly, Vol. 136, No. 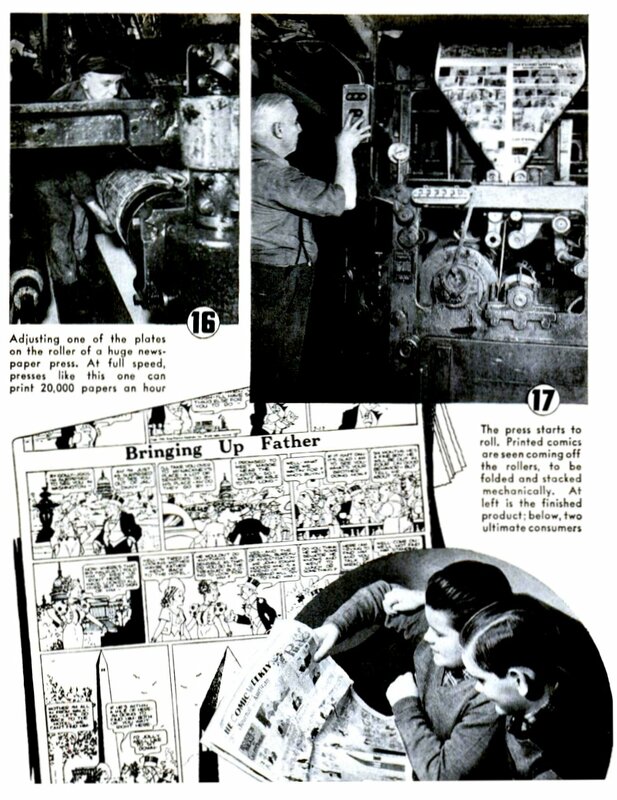 6, June 1940, which was published when George McManus was 56. FAMILY. The census page shows quite a number of Prussians residing in the area; the owner of a furniture store, a wet nurse and a cigar dealer. 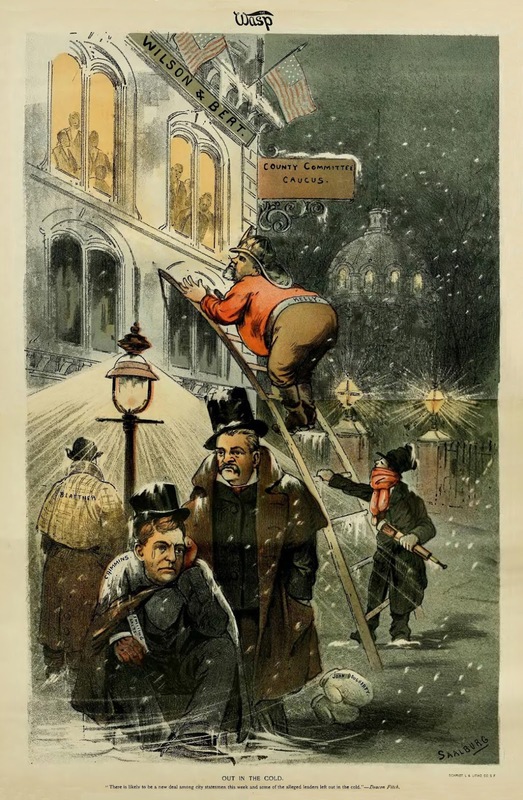 Other neighbors included a woman from Hong Kong, a live-in domestic, an engraver from Canada with a New York wife, a miner and his family from Maine and a housing contractor from Scotland. Saalburg’s age is 45, his wife’s 39. The five children are listed as Simon, 9, Phoebe, 7, Charles, 5, Johanna, 3, and Dora, 8 months. 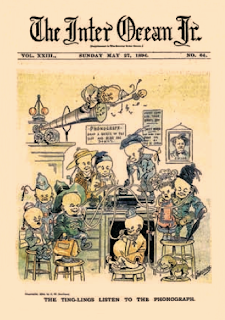 The family grew over the next decade and the 1880 census lists the couple’s children as Simon, now 19, Phoebe, 17, Charles, 15, Josie, 12, Dora, 10, Georgie, 8, and Walter, age 3. All the children were born in San Francisco, California. 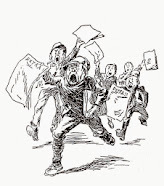 Simon, the oldest at nineteen, was a journalist and later a bookkeeper. CHARLES. Charles William Saalburg was born in San Francisco in 1865. His father William Albert Saalburg (or Sualburg in the 1880 census, where he’s listed as 45 years of age) had just arrived in San Francisco in 1852. In 1856 he was the editor of the San Francisco Weekly Times. 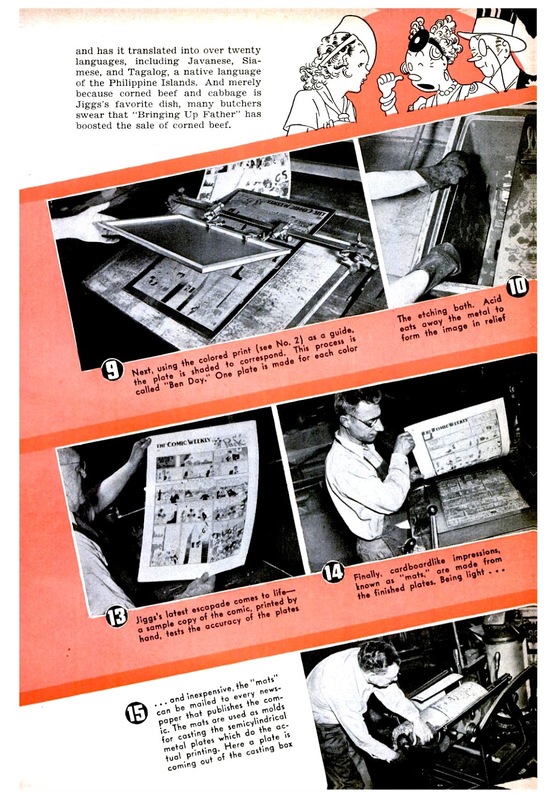 In 1889 father William A. Saalburg, Ludwig Rosenthal and son Charles W. Saalburg operated Rosenthal-Saalburg Co., lithographers and printers from Ellis Street, San Francisco. 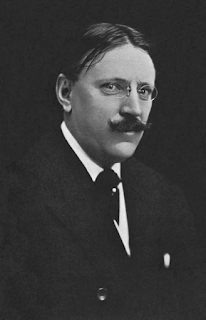 At the same time (1889-90) and from the same address William A. Saalburg was editing the Jewish Times and Observer (begun in 1880) and W. Saalburg’s Jewish Calendar. 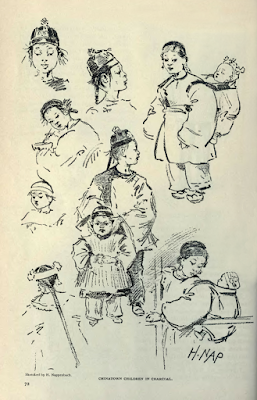 To the Jewish Calendar his son Charles W. contributed sketches. 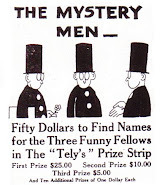 CARTOONISTS. 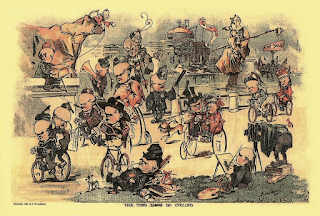 Like many cartoonists young Charles Saalburg was smitten by drawing from an early age and drew the ire of his teachers with his blackboard caricatures. He left school after completing grade four. 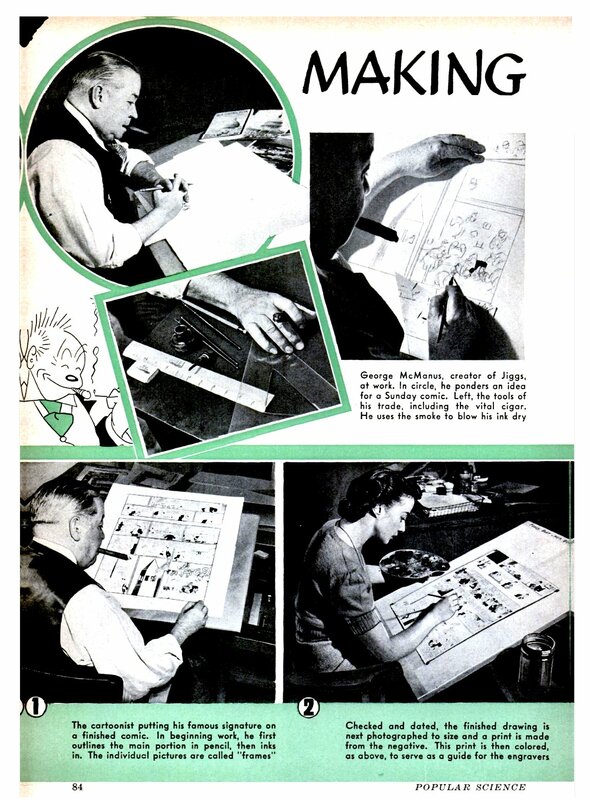 At sixteen he was apprenticed to a lithographer and put to work coloring maps. 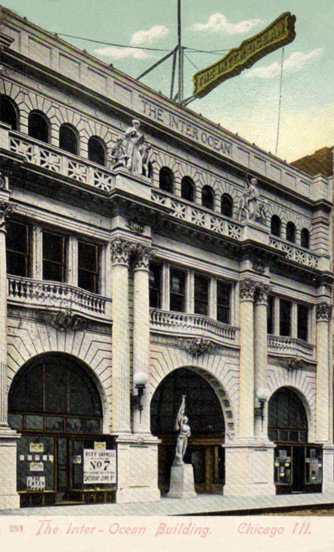 He packed a grip-bag and encamped for New York where he became a lithographic color man for the firms Sackett, Wilhelms and Betzig and Julius Bien & Co. Charles Saalburg left New York, returning to San Francisco via Hartford, Springfield, Boston, Philadelphia and St. Louis. THE WASP. 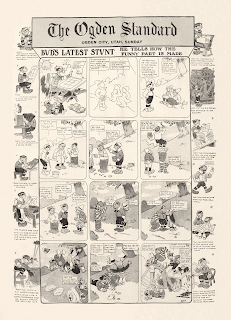 He began applying his talents to drawing color cartoons for the San Francisco Wasp. 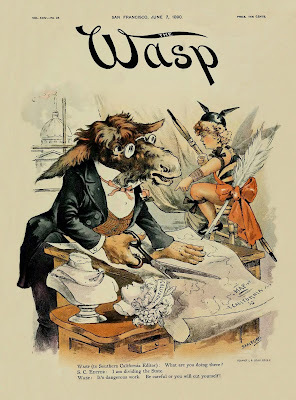 The weekly published The Wasp was founded in 1876 by Messrs. Korbel and Brothers and became the property of Samuel W. Backus in 1889. It was the first comic weekly in America to print cartoons in color — although chromo-lithography had been available previously — and was in wide and popular demand for its illustrated prints and cartoons. SEARCH. 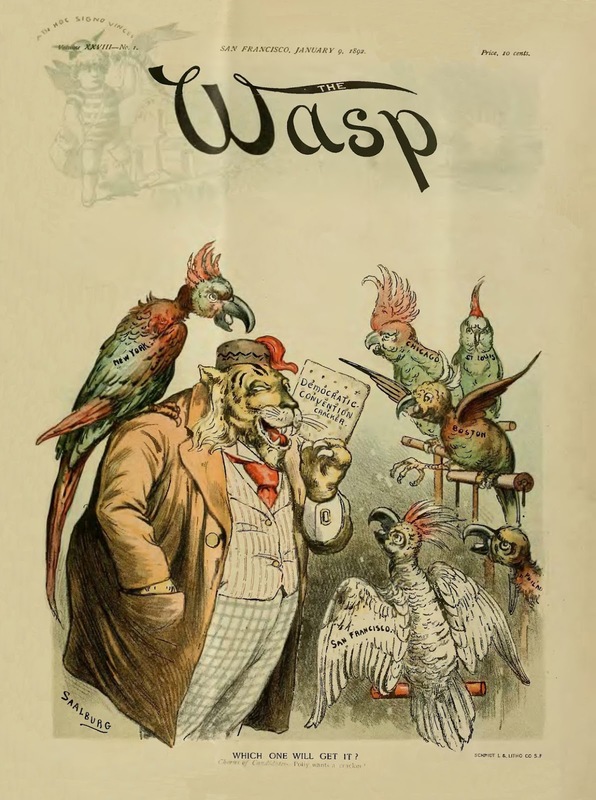 Saalburg was born in 1865 so this suggests he joined The Wasp in 1883, but I could find none of his cartoons in available issues from the 1880s. 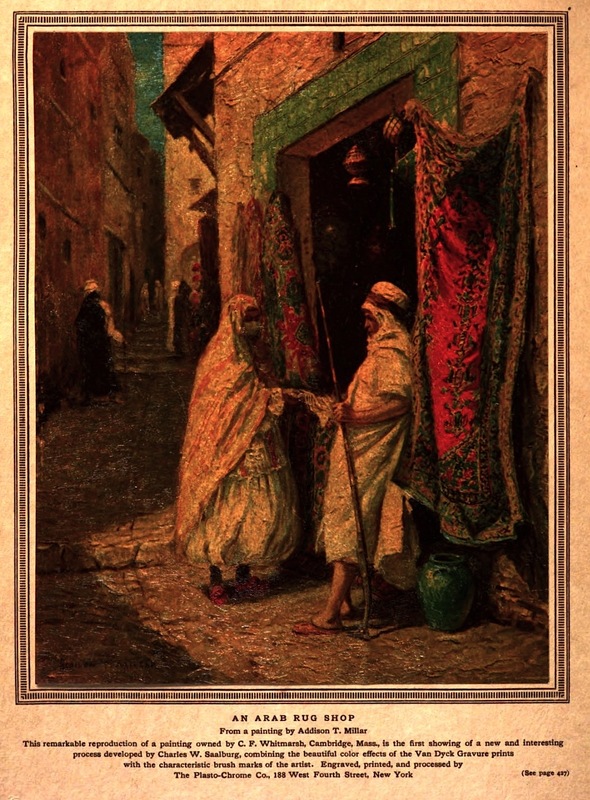 Saalburg’s memory may have been faulty; the earliest color cover illustration I could find signed SAALBURG was February 15, 1890. 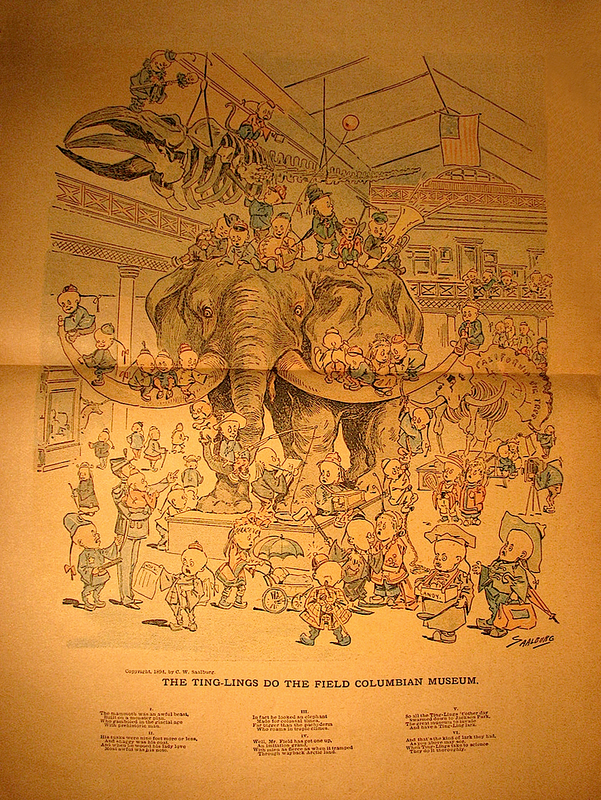 The previous color cartoons were by George Frederick Keller, Henry Barkhaus, Solly H. Walter, and Henry Nappenbach. 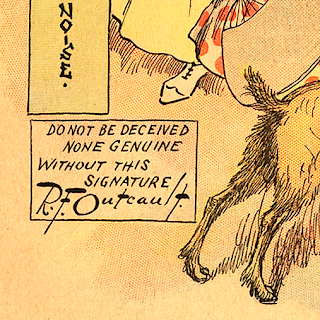 It could be that he served a very long apprenticeship on the printing end of things before becoming a staff cartoonist. 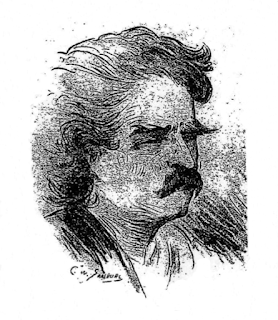 Further muddying the stream is the fact that the dramatic etchings of celebrities he refers to were not begun until 1891. 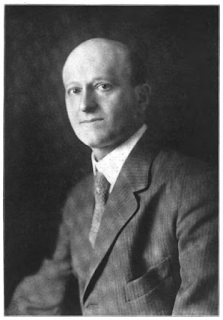 One article claimed that in 1890 Backus (whose ownership began in 1889) placed Charles Saalburg in charge of the art department of The Wasp with assistance from Henry Nappenbach. Langley’s San Francisco Directory for 1892 lists him as living at 1208 Ellis Street with his father. His occupation is listed as artist at Wasp Publishing Company. The Wasp printed his last cover on April 16, 1892. A newspaper reported that Saalburg left The Wasp because “its indecent cartoons offended his taste.” A more likely reason for leaving was his employment by William Randolph Hearst to draw political cartoons for the San Francisco Examiner whose art staff at the time included Homer Davenport, Harrison Fisher, James Swinnerton and W.W. Denslow. CHICAGO. 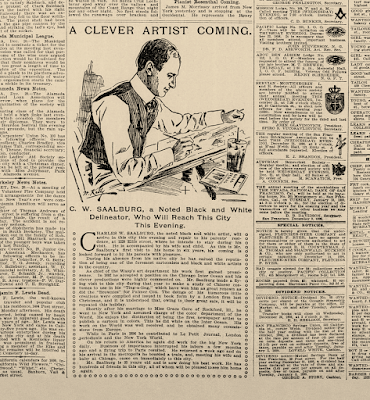 Saalburg left Hearst in short order and accompanied by sketch artist W.W. Denslow traveled through Canada, in 1893 arriving at Chicago, Illinois. 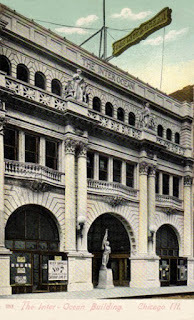 The pair settled into a studio in the Evening Post building. In July Saalburg approached H.H. 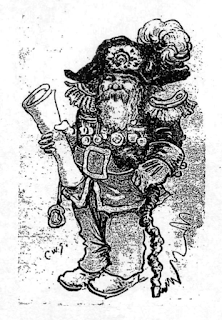 Kohlsaat, proprietor of the Chicago Inter Ocean, and was hired to take complete charge of the newspapers color supplement. COLOR PIONEER. 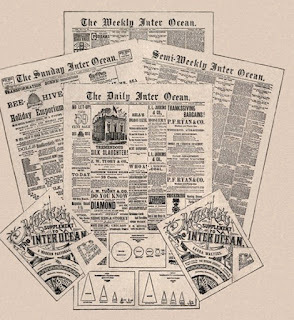 The Inter Ocean was a pioneer of color printing from June 23, 1892, when they published a special for the Democratic Convention. 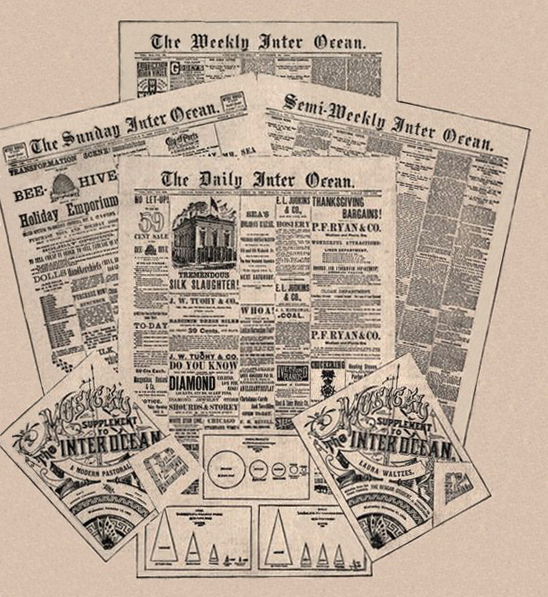 Three days later, June 26, 1892, The Inter Ocean was publishing a regular weekly supplement. The first print runs of the Illustrated Supplement ran to 40,000 copies but with experience 320,000 copies a week were being produced. 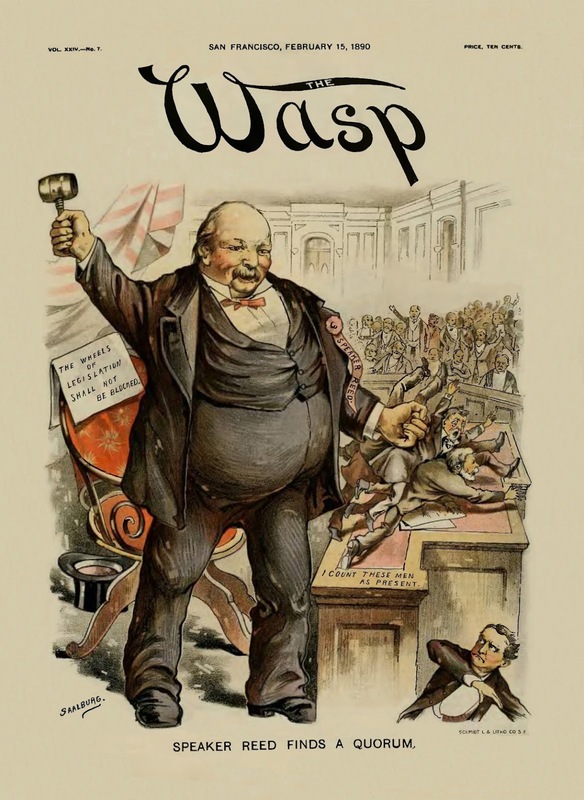 Thomas Nast (b. 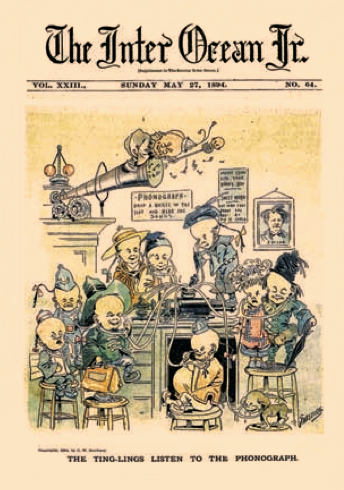 1840) was there presenting the old guard of cartooning, Art Young the coming generation. 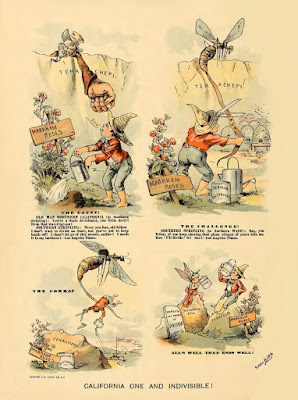 Saalburg was credited with being the first cartoonist to publish a color cartoon in a newspaper. SEEING DOUBLE. 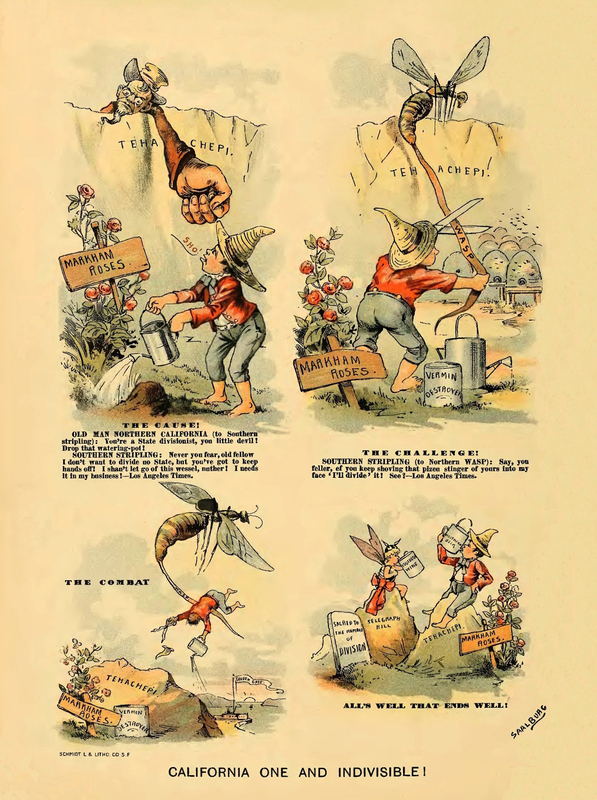 The Illustrated Supplement, was primarily aimed at adults. 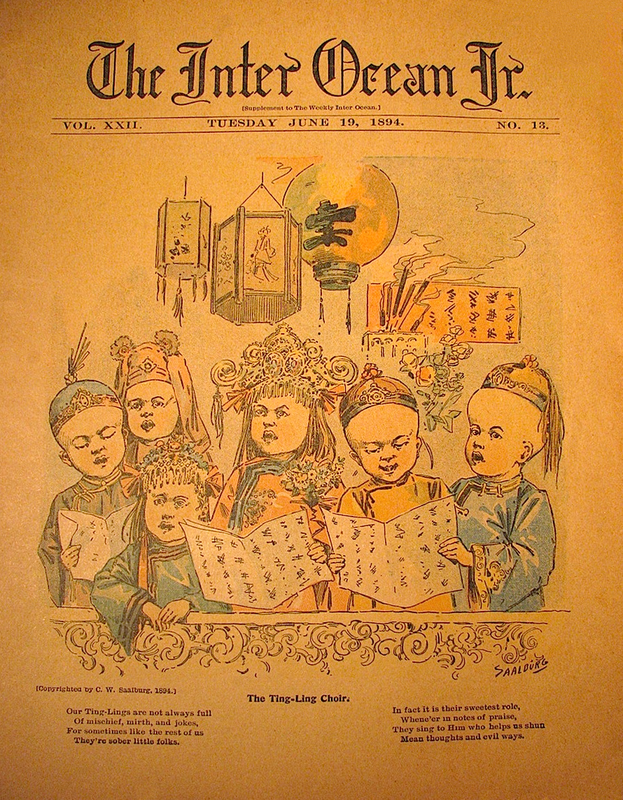 But in early 1894, separate color sections for both The Weekly Inter Ocean (published Tuesday) and The Sunday Inter Ocean were retitled The Inter Ocean Jr. — and both identically titled supplements had large-sized front-page and interior cartoons featuring Saalburg’s tiny Chinese characters called The Ting-Lings. (Publication dates given for all these Ting-Lings cartoons are April 29, 1894, to July 8, 1894.) The exact size and variation of C.W. Saalburg’s total Ting-Lings production still has to be puzzled out it seems. 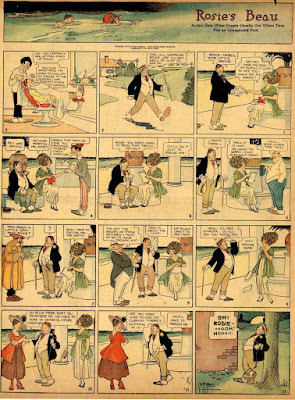 It has been suggested that his cartoons were inspired by Palmer Cox’ Brownies. ENGLAND. 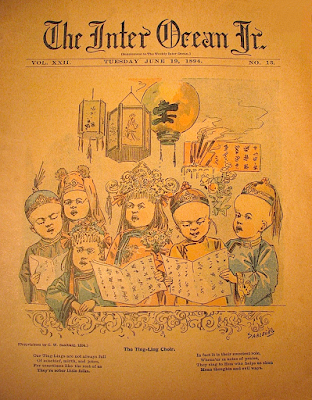 Over in England, London was celebrating the Queen’s Diamond Jubilee and a cartoon of The Ting-Lings appeared in Alfred Harmsworth’s ladies’ magazine Home Chat, about May 15, 1897. 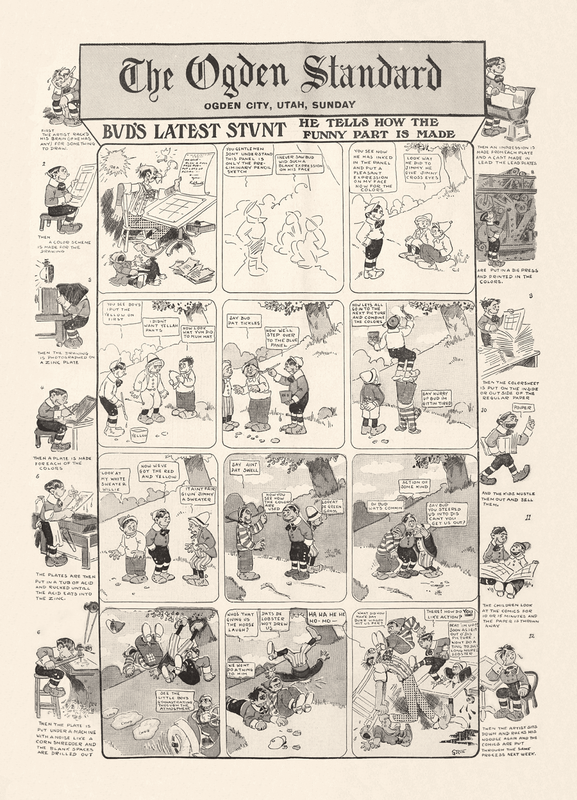 Cartoon art historian Denis Gifford already noted that Home Chat published Jungle Jinks, the earliest known British nursery comic, which started on October 29, 1898. Saalburg’s comic series The Ting-Lings were collected in book form consisting of eight pages by London publishers Dean & Son and published Christmas 1897, with a further volume promised for the following year. While in London Saalburg contributed puzzles to Pearson’s magazine and may have contributed cartoons to newspapers. THE WORLD. Following the Inter Ocean’s lead Joseph Pulitzer published his first color supplement in New York, on Sunday, January 1, 1893, and a “comic supplement” for May 21, 1893 with a large cartoon by Walt McDougall on the cover. 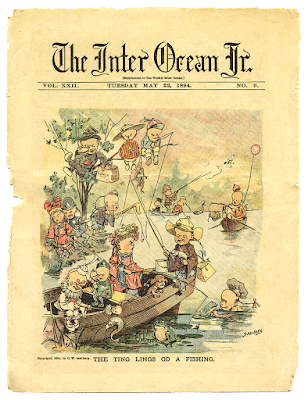 The Inter Ocean stopped publishing color cartoons in July 1895 when Kohlsaat sold the newspaper to Yerkes who was cutting costs to make the paper profitable. 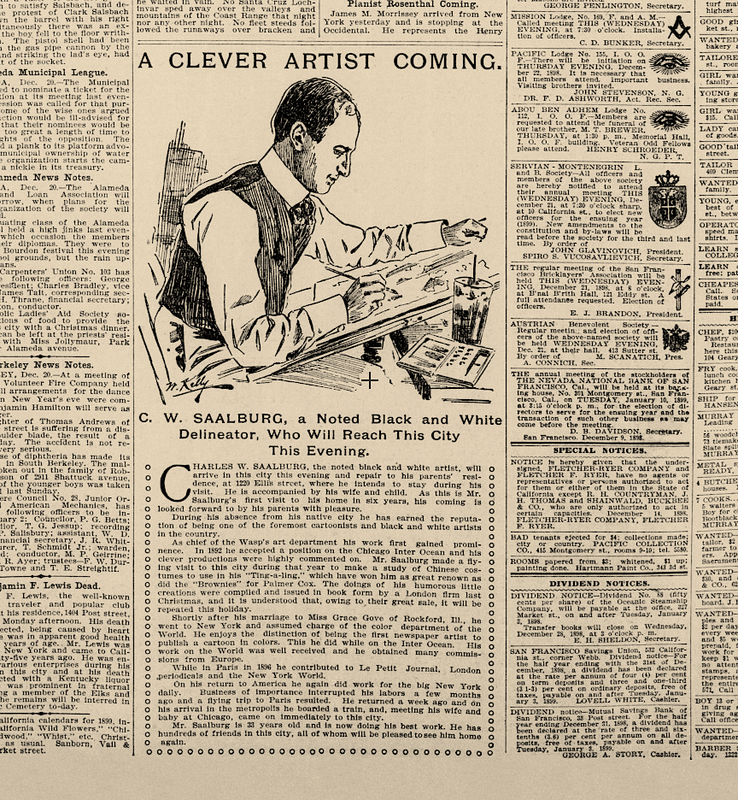 It was sometime in 1895 that Saalburg moved to New York where he was hired to take charge of the color department of Pulitzer’s New York World. 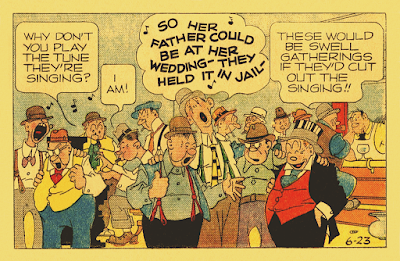 As the inventor of the Sunday comic and so incidentally the parent of “yellow” journalism, I may be pardoned a line of history. 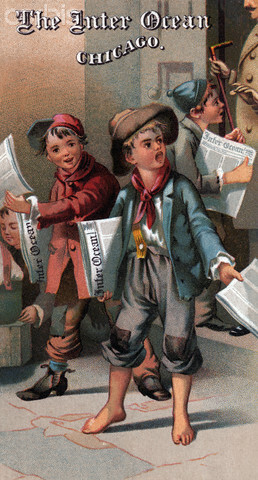 In 1893 the New York World had installed the first color press in America adapted to newspaper printing. 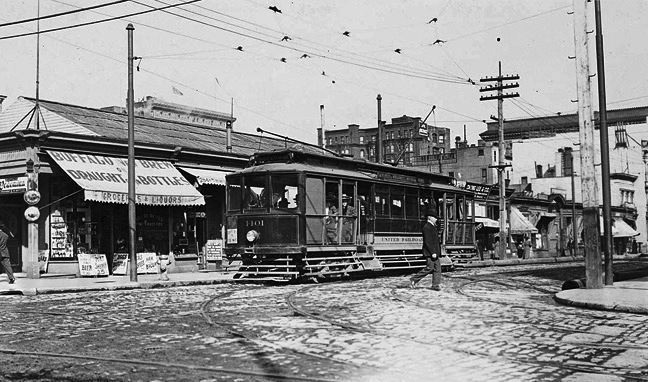 It was built by the Walter Scott Company, of Plainfield, New Jersey, and was an excellent machine. It lacked, or was thought to lack, capacity for large editions, and another machine, constructed by R. Hoe & Company, was installed. The latter lay idle for months and the former was used usually to daub bits of color on the face of a local supplement — little city scenes like the flower market in Union Square. No results were visible in circulation and the cost was considerable. Coming into the mechanical and business departments, after a ten-year journey through the reportorial and editorial side, I had often noted the popular craving for amusement, the almost pathetic desire to see something funny, and I urged that the color presses be set to producing a “comic” sheet. 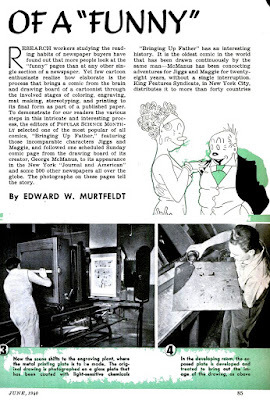 Mr. Pulitzer, absent in Europe, cabled the single word “experiment,” so, with an equipment consisting of Frederick A. Duneka, for long and now the head of Harper & Brothers, a pair of shears, and Walt McDougall, the cartoonist, the “experiment” began. 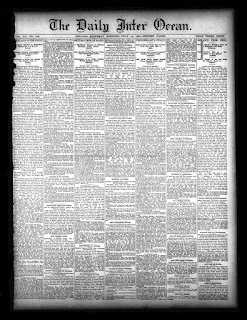 The immediate effect was to send the paper from the quarter million class, where it had long lodged, into the half million, where it has since remained, in the teeth of tremendous competition. THE YELLOW KID. 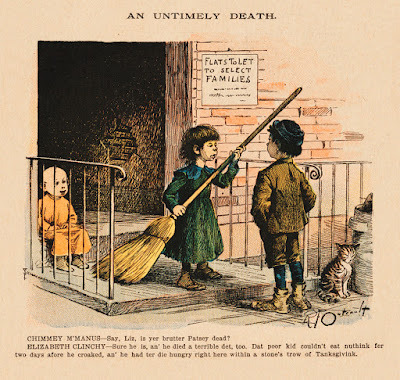 The first appearance in a colored nightshirt of the future Yellow Kid, and future Mickey Dugan, was in a small cartoon titled An Untimely Death, from November 24, 1895, where his nightshirt is an orange color. 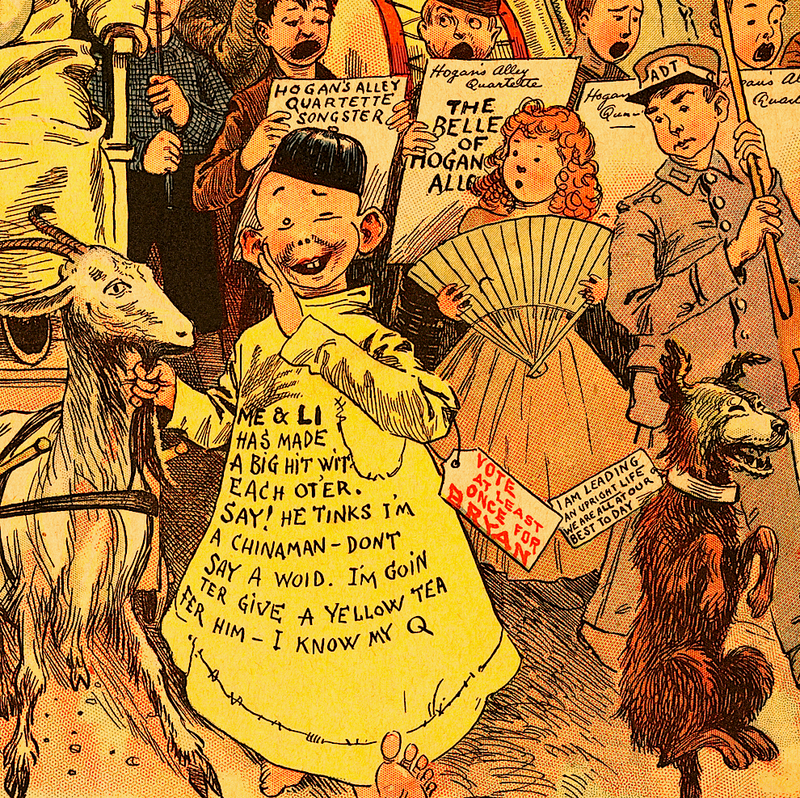 The character blossomed into the full color Kid dressed in yellow on January 5, 1896, in Outcault’s cartoon Golf — the Great Society Sport as Played in Hogan’s Alley (HERE). 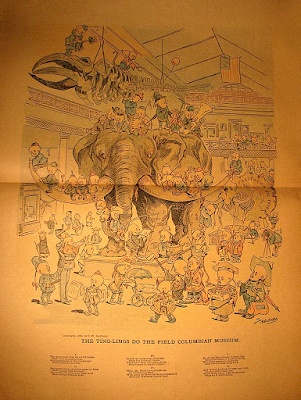 This startling use of color had all to do with the bidding war between Pulitzer and Hearst for Outcault’s services, and resulted in the coining of the phrase “Yellow Journalism” still credited to Ervin Wardman, editor of The New York Press. 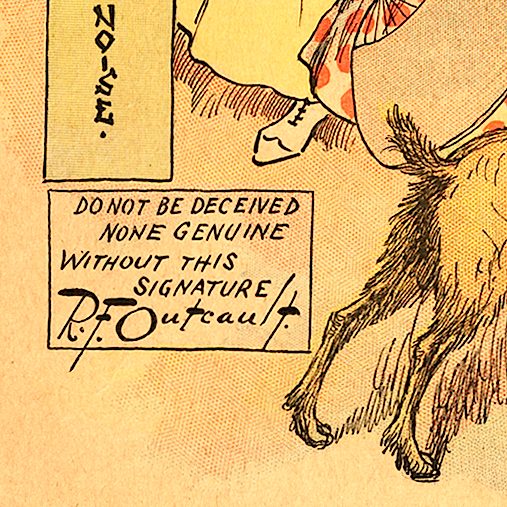 Outcault signed his last Yellow Kid (actually more Casey Corner Kids already, see HERE) on May 1, 1898. BRITISH BOOK. 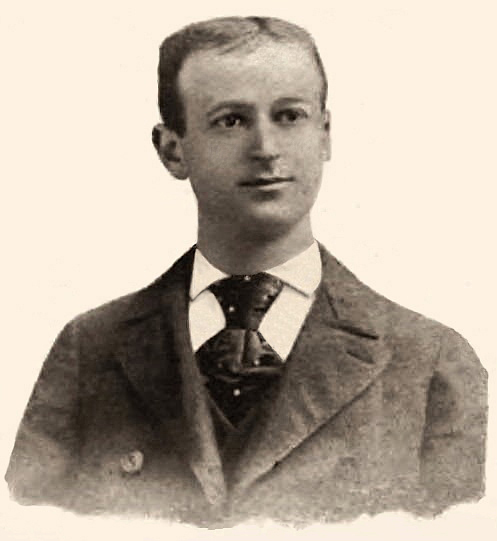 Saalburg married Grace Gove of Illinois on September 10, 1896. 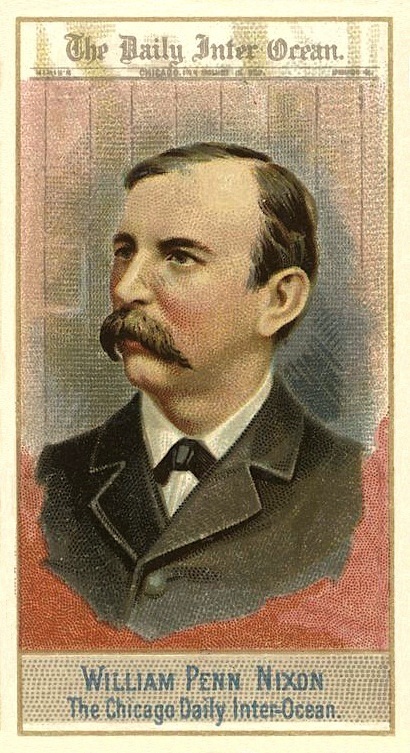 He left the employ of the New York World in 1896, although he continued to contribute puzzles and cartoons to the newspaper, and by December was working in London, England, for the Acme Art Company “where he commands a princely salary.” Acme Art ordered American equipment and put up press buildings under Saalburg’s supervision. At this time he also contributed to Le Petit Journal (Paris, France) and the New York World. 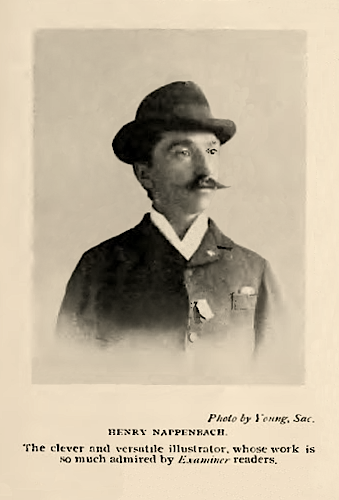 On December 21, 1898, Saalburg, with his wife and child Leslie, was back in San Francisco again staying at his parents’ home on 1220 Ellis Street. By 1908 Charles Saalburg had his own firm, The Van Dyck Gravure Company, in East Orange, New Jersey. 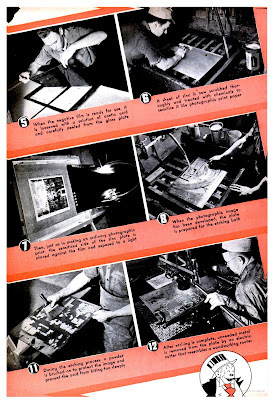 Between 1909 and 1922 he registered numerous patents, most dealing with the printing process, and even branching out into window display mechanics, photography and animated pictures. How The Ting-Lings were found HERE. America’s First Color Newspaper Supplement HERE. The Yellow Kid Cartoon Gallery HERE. 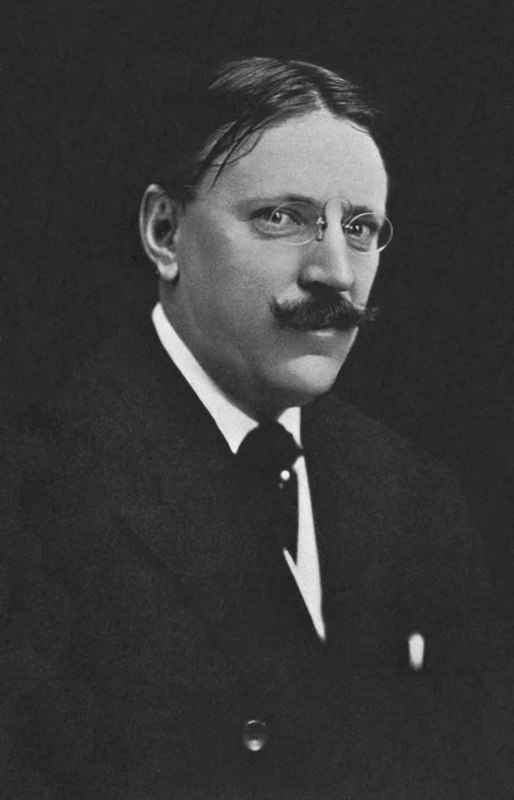 The 1926 quotes and drawings by Saalburg are from his brief memoir published in the New York Times, Jan 3, 1926, titled San Francisco of the ’80s Abounded in Notables; C.W. Saalburg has Memories of Mark Twain, Joaquin Miller, Bernhardt, Davenport and Warfield.